January is the time to start planning for spring and summer home improvement projects. There are home, garden and remodeling shows taking place across the country during January, February and March. These shows are great opportunities to see the latest home improvement and renovation ideas, products and technologies to get you motivated to start your summer home projects. The Low County Home and Garden Show returns to Savannah this weekend for a weekend full of seminars, demonstrations and fun for the entire family. The 2016 Low Country Home and Garden Show will be at the Savannah International Trade & Convention Center from Friday, January 29th running to Sunday, January 31st. The show has over 4000 square feet of displays and exhibitions including gardens, landscapes and water features. There will be exhibits for kitchen design, pools and outdoor living, and interior design and home accessories. There will also be DIY seminars on three different stages: Celebrity Stage, Garden Stage and Kids Stage throughout the weekend. Seminar topics range from construction trends in Savannah to solar energy for the home to garden flower inspirations. Jeff Lewis the host and star of Bravo’s Flipping Out will be sharing his over 20 years of experience with renovating interior and exterior living spaces. 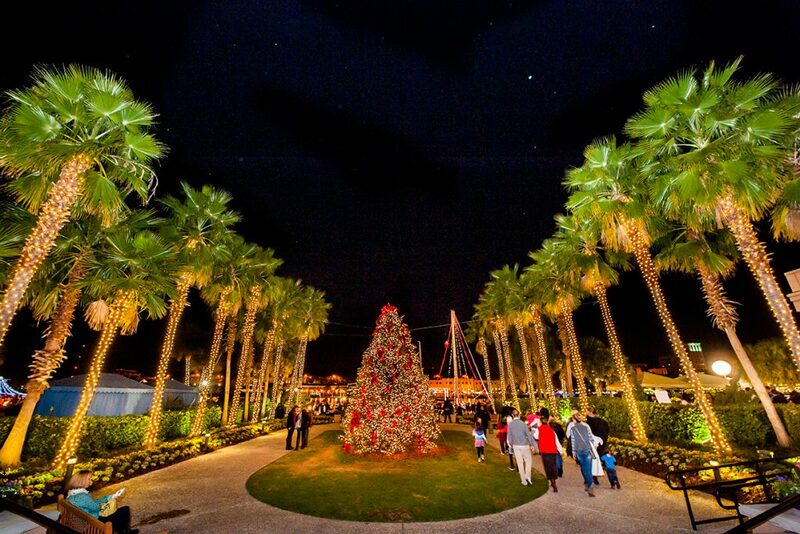 The Garden Stage will have Norman Winter, gardening expert from the Coastal Botanical Garden at Historic Bamboo Farm and other experts from the Coastal Georgia Botanical Garden sharing how to make the most of your outdoor living and gardening spaces. The Home and Garden Show will be filled with exhibitors that will be able to help you with ideas for improvements inside and outside your home. New this year is a “Product Zone” with exhibits and demonstrations of the newest products to make everyday tasks a bit easier. The show has it all from gardens and landscapes to interior design ideas and daily live plant and tree sales. There is an interactive Kids Zone area sponsored by Lowes with demonstrations, face-painting and hands-on demonstrations, a pet area and wine tasting. Enter to win plants from local garden centers, gift cards and much more from daily giveaways throughout the weekend. After you have visited the different home garden and remodeling shows and received tips for your remodeling or renovation projects, it is time to start planning your upcoming spring and summer projects. Renting a self-storage unit for personal and business storage is a great way to keep the furniture and accessories from the room or office protected during remodeling or renovation projects. If the remodeling project allows you to get new furniture, keep the older furniture in a self-storage unit. Stop N Stor has a variety of climate and non-climate controlled storage units that can fit all of your storage needs from storing tools during a construction project to storing all of the furniture in a bedroom or living room! Our friendly and professional staff can help you with your storage needs from packing and moving supplies to temporary storage for your renovation project. Stop in when you need help finding the right storage space for your renovation projects! Enjoy the home and garden show and good luck with your spring and summer home improvement projects! 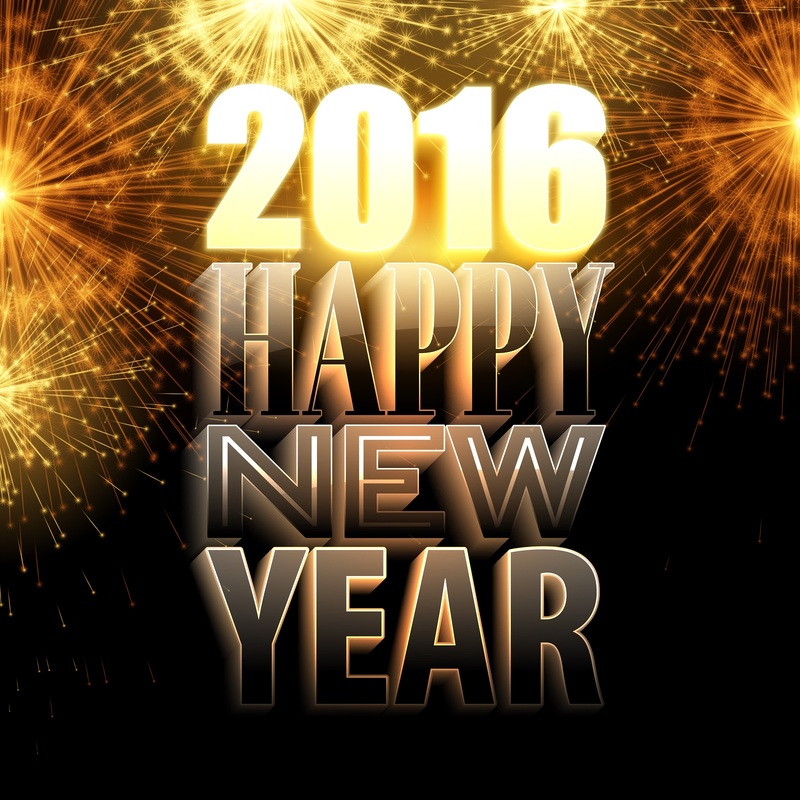 Every year, people make resolutions to get healthy, lose weight, save more and get more organized. According to a survey on New Year’s resolutions recently posted by Statistic Brain, the number 2 resolution for last year was to get organized! There is no time like the present to start planning and acting on this resolution to better organize your life and declutter your home to make it more organized for the New Year! The New Year is in full swing and now is the perfect time to set-up your home to be clutter free after the chaos of the holiday season. The holiday decorations have been stored until next year’s holiday season. Now is the perfect time to work on organization projects big and small. You can start with small projects such as organizing a closet and then move onto larger organization projects such as re-organizing your entire kitchen. Create a goal and vision for the space that you need to reorganize. This is great for small or large projects. Cut out photos of an organized room, closet or bookshelf and place them on the refrigerator or on a bulletin board to use as a guide to what you want to accomplish. Define your clutter. We are all very emotionally attached to our things; which in turn causes more clutter to gather in our homes. This is a good time to sort your items between what will stay in the room and what can be packed for storage. Once, you have created a clutter free environment, it is important to keep it organized going forward by doing daily cleaning, such as putting away daily use items in their designated spots. Purchase organizational supplies such as shelving units, storage bins, door storage organizers, and baskets to give loose items “a home”. There are many great DIY ways to get your items organized from re-purposing ice trays to hold desk supplies to color coding a weekly family event calendar to keeping electrical cords coiled correctly. Finish the organizational projects that you started! Do not leave projects half completed! 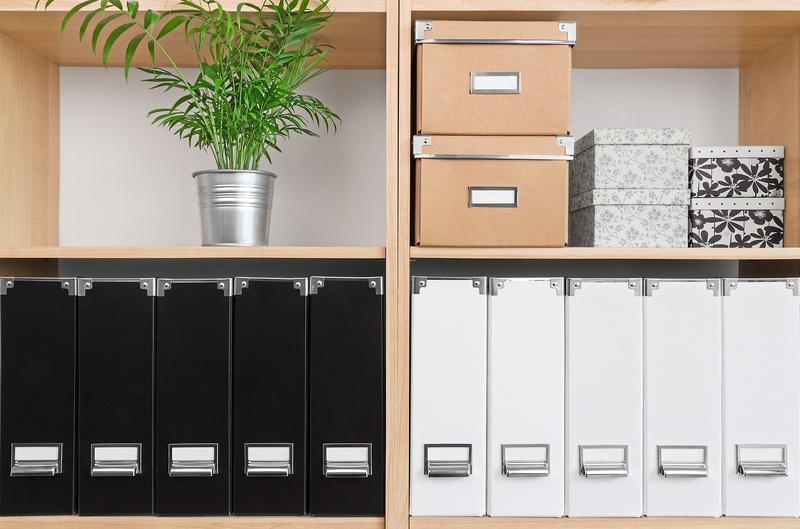 With proper planning and a goal in mind, you can declutter and reorganize your home and start a plan to keep it organized going into the New Year. Stop N Stor has a variety of storage options, including climate and non-climate controlled, available for every storage need from storing unused exercise equipment to storing family heirlooms. The holidays are time for giving and sharing with family, friends and the community. There are many ways to help out in the Savannah area, from serving community meals to donating new toys or coats for children in need. 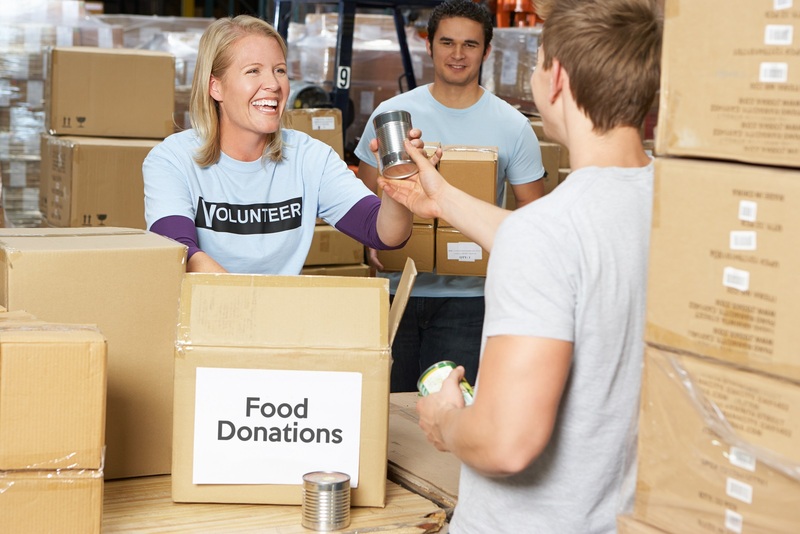 Many charitable organizations rely heavily on donations made during the holiday season. Some of the charities collect items for distribution for Christmas while others accept donations to help with their programs throughout the year. Find out more about a few of the charitable organizations that are holding special holiday donation campaigns. The Marine Reserves sponsor the annual Toys for Tots Holiday Toy Drive Campaign to collect new, unwrapped toys for children that are in need. The organization receives millions of dollars in toy and monetary donations each year. They work with local community organizations and church groups for toy donation on Christmas. There are several Savannah area drop off points for Toys for Tots. They will be collecting toys through mid-December. The Salvation Army was started in the mid 1880’s by a British evangelical preacher, William Booth. Members of Booth’s church group immigrated to the United States in 1880 and the program quickly spread across the United States. Today, the Salvation Army assists nearly 30 million Americans nationwide each year with homeless relief programs, disaster relief, boys and girls groups and much more. The Salvation Army of Savannah has been serving those in need in the Savannah area since 1900. One of the major fundraising campaigns for the Salvation Army is the Red Kettle Campaign. This giving program began in 1891 and today raises millions of dollars every holiday season to help with local Salvation Army programs. Salvation Army volunteers are dispersed across the area collecting holiday donations with their red kettles and bells. Another popular Salvation Army holiday charity program is The Angel Tree. The program matches donors with children from qualified families to ensure that they receive gifts and clothing during the holidays. Participating donors can take one or more Angels from the “Angel Tree” located in malls and at various stores throughout the Savannah area. Donors can purchase age- and gender-appropriate toys, clothing, or special needs items as listed on the coded section of the Angels donation slip. Return the unwrapped items with the coded section of the Angel slip attached to the designated drop-off locations by December 14th to ensure delivery by the holidays. The Savannah Second Harvest of Coastal Georgia is the Savannah area’s food bank. The organization serves over 300 charitable programs in 21 urban and rural coastal Georgia communities. The Savannah Second Harvest of Coastal Georgia is always accepting monetary or food donations and volunteer assistance to help sort the food in their warehouse. Donations to local food pantries also come in handy throughout the year, but especially during the holidays. If you would like to donate actual food items to the food bank or food pantries in the Savannah area, make sure that the items are non-perishable. Suggested items for holiday meal donations include canned pumpkin, canned yams, cranberry sauce, boxed stuffing mix or died macaroni. For everyday needs, suggested food donations include canned beans, nuts, peanut butter, canned tuna or salmon, dried beans, rice, oatmeal pasta, tomato sauce, flour and canned vegetables. Check with local organizations for Christmas free dinners and events for the community. Savannah Feed the Hungry Inc. hosts Christmas dinners during the holiday season in Savannah and Port Wentworth. The Port Wentworth dinner is at the Holiday Inn Express in Port Wentworth on December 22nd. The Savannah meal is at the John S. Deleware Center on December 23rd. Savannah Feed the Hungry is planning on serving over 45,000 meals in 2015 to those in need in the area. Since 2009, they have served over 450,000 meals. The event will also help families in need with extra help for toys for Christmas, free health screenings and clothing. The holidays are a wonderful time to help others by giving to holiday charity programs or by volunteering at food banks, food pantries and community holiday meals. Helping others who are in need is a great way to honor the meaning of the season. Stop N Stor wishes all of their customers, vendors, family and friends all the best this holiday season. 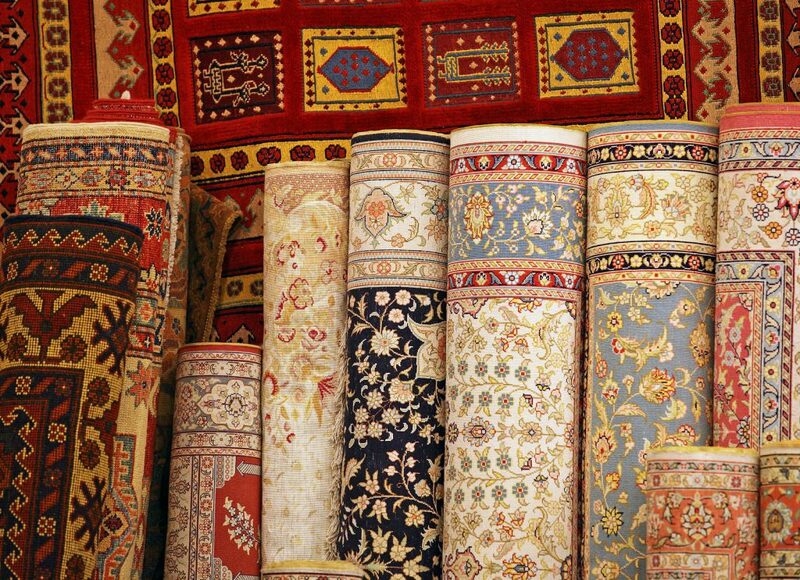 There are many reasons that you might need rug storage from inheriting a treasured oriental rug to needing to remove an area rug during a move to a smaller home or during a home remodeling project. 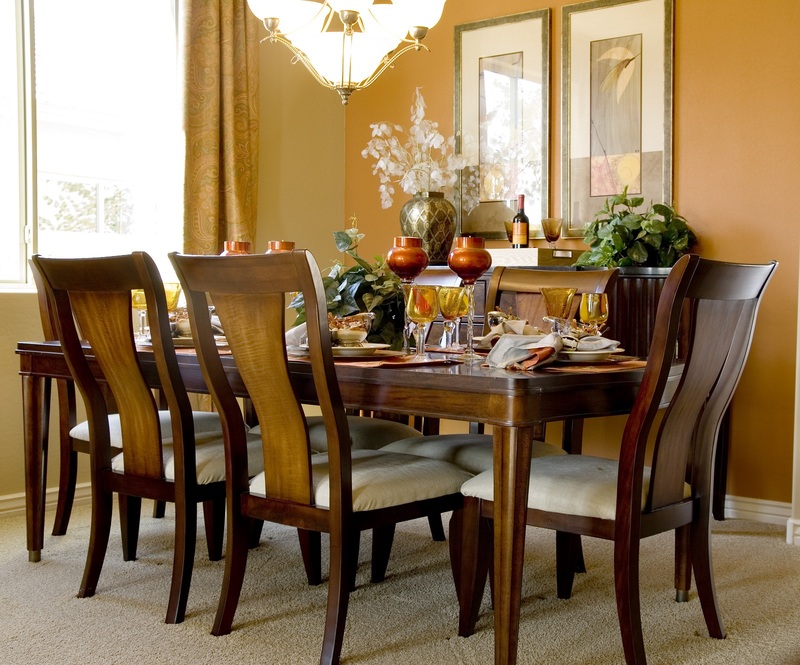 Rugs and carpets can be unwieldy objects to store. 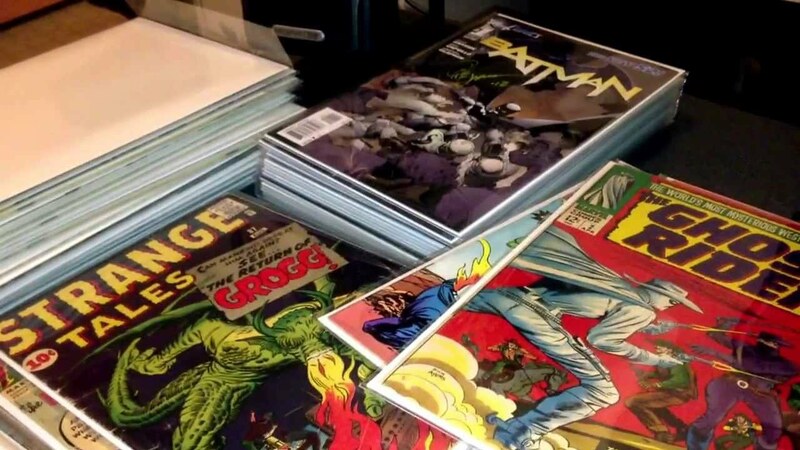 They also need to be properly prepared before placing in any type of storage. Rugs should be stored in a dry cool environment, where temperature and humidity is set at an even level. Changing humidity levels can cause a rug to curl at the edges. The best solution is to store a rug in a climate controlled storage unit. Stop N Stor has a variety of storage unit sizes in climate and non-climate controlled that are perfect for storing furniture and rugs during remodeling projects or moving to another home. The size of the rug will determine the size storage unit that you will need to rent. Dirt and bugs (moths and carpet beetles) are the number biggest enemies for carpets. Bugs do not eat synthetic fibers such as nylon, polypropylene, acrylic or polyester. However, they can damage natural fibers such as wool or silk. Following simple tips on how to store rugs will keep them in good condition for future use. Rugs need to be cleaned before placing in storage. Any dirt or soiling left on the rug should be removed or they could cause deterioration of the rug over long-term storage. Clean rugs or carpets based on manufacturer instructions. Woven or braided rugs should be washed differently from handmade, antique, wool and oriental rugs. If the rug is large and not able to be cleaned at home, have it professionally cleaned before storing. Vacuum the rug on both sides before wet cleaning. Vacuuming will remove pet dander, dust mites and any excess dirt. In order to vacuum both sides of the rug place the rug on plastic or wire mess fencing material on the ground. Vacuum one side and then flip over to vacuum the other. It is recommend to roll a rug for storage instead of folding. Folded rugs can leave cracks and creases damaging the carpet and the backing of the carpet. To roll a carpet correctly, roll from the “bottom” to the top. To find the “bottom,” run your hand over the fibers to determine which direction is “with the grain” and which is against. Follow the direction that is with the grain to the edge and start making the roll from there. Roll the carpet as tight as possible and secure with a piece of rope. Stop into any of the 6 Stop N Stor locations in Hinesville, Port Wentworth or Savannah to see how our storage professionals can help you with find you the right rug or carpet storage solution. Where to Store Holiday Gifts? The start to the holiday season is Thanksgiving, celebrated throughout the United States this Thursday. Thanksgiving was declared by Congress to be an annual holiday in 1827, but the day that it was celebrated on different days between September and November. In 1939, President Franklin D. Roosevelt, with the insistence of the large and influential retail stores, proclaimed that Thanksgiving Day would be officially held the third Thursday in November. This was granted to lengthen the official holiday shopping season. Thanksgiving Day has been held on that day ever since as a day for families and friends to gather together for meals and giving thanks. Thanksgiving signals the start of the “official” holiday shopping season. More stores are beginning to open up on Thanksgiving Day for shopping, but the traditional holiday shopping occurs on the day after Thanksgiving or “Black Friday”. On average, over 135 Million people go shopping on Black Friday spending billions of dollars. According to a National Retail Federation 2015 holiday prediction, the average American shopper plans on spending $805 dollars this holiday season for holiday gifts, decorations and hosting holiday parties. 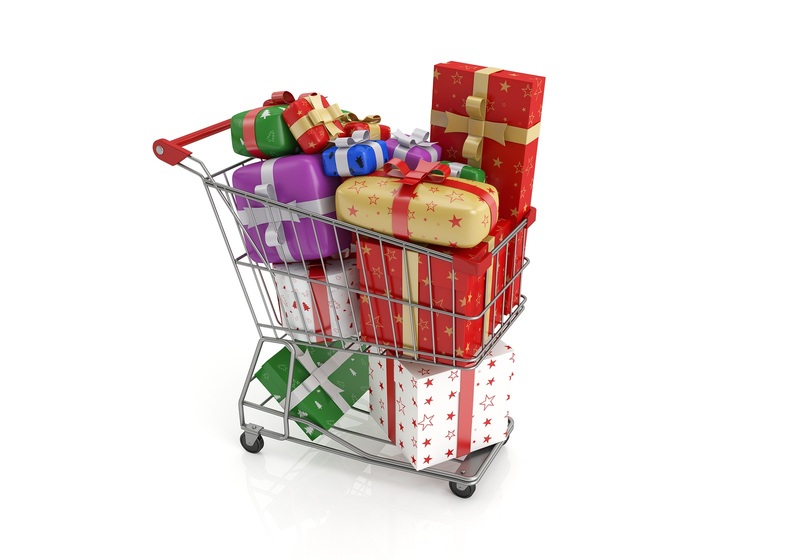 The average shopper plans to spend $463 on just family members this holiday season. For many retailers, Black Friday is their busiest shopping day of the year! Retail sales for this year is predicted to be over $630.5 billion. Cyber Monday has also become a big shopping day as online shopping is forecast to increase by up to 8% to $105 billion. What does “Black Friday” or “Cyber Monday” have to do with self storage? Renting a self storage unit is a great solution for storing your holiday purchases. If you don’t have a lot of room in your home for storage or if you want to prevent “sneaky” family members from finding their surprise gifts, think about storing the items in a self storage unit. Stop N Stor offers a variety of storage unit sizes from 5×5 to 10×30 for all of your storage needs. A 5×5 storage unit, or the size of a closet, is a great place to store smaller packages and boxes, but if you need extra room for larger gifts or to set up a wrapping station for your gifts, then we can happily accommodate your needs with a larger storage unit size. Stop N Stor also offers month-to-month rentals, which is perfect for storing your “Black Friday” deals for the holiday season. A self storage unit is also a great place to store holiday decorations such as Christmas trees, lights, outdoor decorations and wreaths for both homeowners and businesses. Utilizing a self storage unit for holiday decorations will help eliminate the “after the holiday season clutter” in your home. Climate controlled storage units help keep artificial wreaths and Christmas trees looking fresh and ready for use in the future. For retail stores, a self storage unit can be used as a secondary storage room for inventory, fixtures and equipment during the holiday season. Stop N Stor facility offices will be closed on Thanksgiving Day so our employees can spend time with their loved ones. Customers can still access their storage units via the keypad gated-entry during the holiday. Stop N Stor offices will re-open for regular hours on Friday, November 27th. 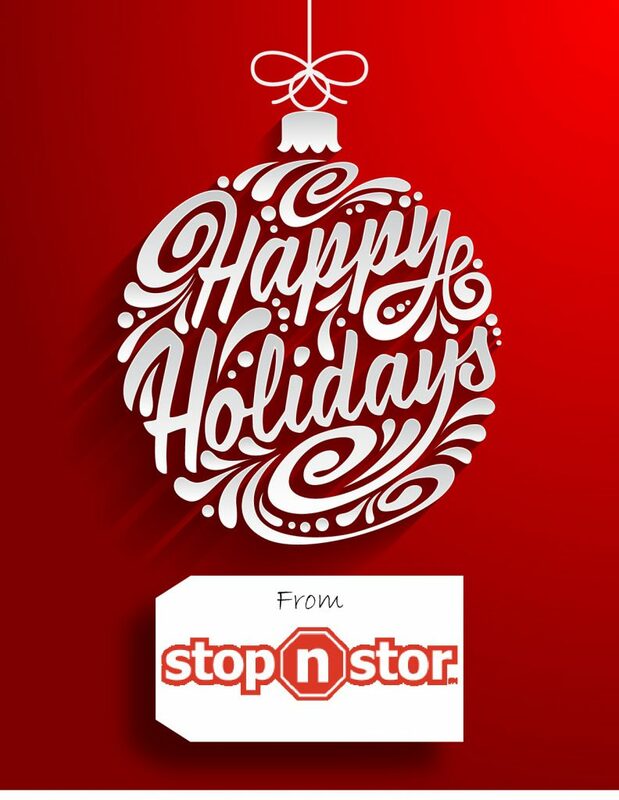 Stop N Stor wishes everyone a safe and happy holiday season!